BOCCE AND BEER @ MILO'S!! Come join us for the second STLRUG Happy Hour of 2019! Bring some friends and colleagues to help grow our group! Bocce ball is the vehicle for relaxation at this event! Come and throw a ball with us nerds! Event is on Thursday, April 25th, 2019 from 5-9 PM. The Bocce courts are only available until 6 PM, so come early if you want to play! Milo's Tavern (5201 Wilson Avenue, St. Louis, MO 63110) is our meeting spot for a night of fun and networking. Come one, come all and bring a guest. Click HERE for a link to the RSVP page. Come out and participate in the first STLRUG event of 2019! This is the rescheduled Learning Event from February 19th. This will be a Learning Event with the focus on Tips & Tricks within Revit. We are pooling all of our knowledge and experience and hope to share some great efficiency and workflow Tips for the first half of the session. The second portion of the session will be dedicated to helping solve user problems and answering questions about anything Revit. This will be in a "Stump the Chump" format and whoever brings the best question, tip or problem will be eligible for a giveaway from our wonderful sponsor for the event: Seiler Design Solutions! So come on out to the Hearth Room at Hawken House on February 19th and be prepared to learn some stuff! I know I will!! 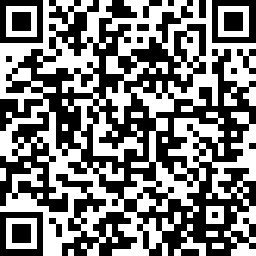 Don't forget to complete the User group survey if you have not yet! The benefits and prevalence of BIM (Building Information Modeling) has grown. If your company hasn’t invested in it, it’s at least worth getting to know about it. Its staying power over the last decade has established it in the construction industry. Autodesk BIM 360 recently published Top Ten Benefits of BIM in Construction, an article summarizing the areas in which BIM has made headway in the construction industry. It’s a good read to get a synopsis. 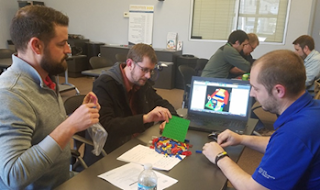 The AGC of America has been developing the BIM Education Program (Units 1-4 & CM-BIM exam) for almost a decade, and Missouri is lucky in that some of the early authors of the program are still teaching it here. The program has been fine-tuned, and the AGCMO is offering it again this year. The AGC of America BIM Program is returning to the AGCMO Construction Training School in March of 2019, followed by a group study session to prepare participants for the exam. The CM-BIM certification test will be scheduled at the testing center on a day/time that works for participant schedules. 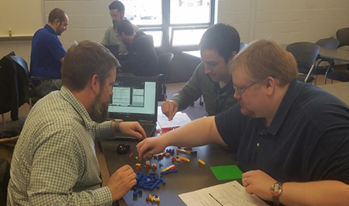 2018 BIM participants work on the LEGO exercise in Unit 3, BIM Project Execution Planning. AGCMO’s launch of the new BIM Program in its 3rd Edition in 2018 was a success with a 100% pass rate on the first delivery of the 3rd Edition CM-BIM exam. CLICK HERE to learn more about the BIM Program. CLICK HERE to learn more about the CM-BIM Exam. Due to the potential for nasty weather tomorrow night, the February Learning Event is being rescheduled for Tuesday, March 5th, 2019 at the same location. I will update the website with a new RSVP website for the updated event. We apologize for any inconvenience and hope to see you at the rescheduled event. Want to help the STLRUG be more effective and focus on the topics that are most important to you?? Complete our short User Survey to help plan our events for the remainder of 2019!! The survey is only 7 questions and should only take 5 minutes, so help us help you!! Thanks for your help in shaping the St. Louis Revit User Group!! Hey St. Louis AEC Professionals, hope your 2019 has started off great!! I wanted to call your attention to an amazing opportunity coming in September of 2019. The 2019 BIMForum will be held right here in the great city of St. Louis! The event is planned for September 16-18, 2019 and will be held at the Hyatt Regency Downtown by the Arch. The call for proposals for the event is now open and this is a great opportunity to showcase how the St. Louis area is using technology enabled workflows and collaboration strategies to improve our delivery methods and build better facilities for our clients. This is also a great conference to learn how other firms across our country are improving their practices. I will make another post with links to the Registration page once that is open. There was a great turnout at the 2018 AGC Design and Construction Technology Conference held yesterday (Oct 25th) at the St. Louis Science Center. There were some great speakers and the keynotes were fantastic. It was great catching up with all of the tech savoy AEC professionals in the St. Louis Area. As promised, please find links below to class materials from the Bluebeam Estimating Lab (presented by Chris Link) and the Dynamo Basics Lab (presented by Micah Gray). Please feel free to download and let us know if you have any questions. Thanks for attending our classes!! Why: Relax, drink and socialize! Come join us for the November STLRUG Happy Hour!